These headphones look and sound great. They have been briefly tested and work. Minor wear adn tear from previous use is present, see photos for details. No cable included, just the headphones. Net proceeds from the sale of these goods and financial donations from the community make it possible for us to operate our free job training programs. Skullcandy Roc Nation Aviator Around-Ear Headphones with Mic (Black) - No Cable - S6AVDM-156. Skullcandy Roc Nation Aviator (S6AVDM-156) Over-Ear Headphones (Black) - Used. The Roc Nation Aviator Around-Ear Headphones with Mic (Black) from Skullcandy provide premium-quality audio in a sleek and stylish design. Pair Skullcandy with an organization like Jay-Z?. With an optics inspired design (see the custom styled drivers for yourself) and a focus on performance, the Aviator is the Porsche of the headphone arena. Skullcandy Aviators Over-Ear Headphones (Red and Black) - S6AVDM-232. Manufacturer: Skullcandy. The RMA# number that was issued to you should be clearly written on the top of the box and not covered by any labels. Skullcandy ROC NATION Aviator Black (S6AVCM-003) Over-ear Headphones with In-line Mic - S6AVCM-003. Skullcandy ROC NATION Aviator Black (S6AVCM003) Over-ear Headphones with In-line Mic - Used. The Roc Nation Aviator Around-Ear Headphones with Mic (Black) from Skullcandy provide premium-quality audio in a sleek and stylish design. Skullcandy Aviator White Chrome Supreme Sound Headphones RocNation. Condition is Used. Shipped with USPS Priority Mail. AVIATOR HEADPHONES. SKULL CANDY. SPEED AND SPORT, INC. TAKE MAKE PHONE CALLS. WITH CARRY CASE. Excellent, clean condition. Tested and sound great. Sorry, no international shipping and immediate payment please. Skullcandy Rocknation white/chrome inline remote/mic in great condition and it sounds nice. Please views photos carefully as part of the description and it comes as shown. Cost of the shipping and returns shipping are non refundable. Thanks for browsing and happy bidding! Skullcandy Roc Nation Aviator Headphones (670). Condition is Used. Excellent Condition Like New. Skullcandy ROC NATION Aviator Headphones with Mic white FREE SHIPPING. Condition is Used. Shipped with USPS First Class Package. Skullcandy Aviator Headphones with Mic3 in Black Roc Nation - BARELY EVER USED! Bust out your top guns and impeccable taste in music with these Roc Nation Aviator over-ear headphones from Skullcandy. They feature platinum sound performance that includes twin 40mm full-range enhanced audio drivers and a dual wrapped, tangle-free braided nylon cable with a built-in mic so you can take your most important calls even during your most intense jam sesh. 5 out of 5 stars - Skullcandy Aviator Headphones with Mic3 in Black Roc Nation - BARELY EVER USED! 1 product rating1 product ratings - Skullcandy Aviator Headphones with Mic3 in Black Roc Nation - BARELY EVER USED! Skullcandy Aviator White/Black S5AVDM-074. Other accessories are not included. - Sound Pressure Level 104 dB (1mW/500Hz). Box includes - Cable Type TPE. Skullcandy aviator roc nation headphones, Serial number . 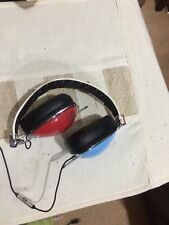 Super rare Air Jordan Skullcandy headphones for sale! Only 23 pairs of these were made back in 2011 as a special release at all star weekend. They sold at $500 back then and I haven't seen another pair for over 5 years now. A must have for any Jordan collector! Headphones still work 100% fine. A pair sold for $3250 USD with the case. Unfortunately I don't have the case. Bait's stylish graphics complete the stunning optics-inspired shell of the Aviator - a revolutionary headphone that was designed in tandem with Jay-Z's Roc Nation label. Engineered optics for your ears. These are original ear cushions by Skullcandy for Aviators. Original Skullcandy 100% Authentic BLACK Aviators. 1 Pair (right and left) Black Ear Cover. Make your headphones look always new. 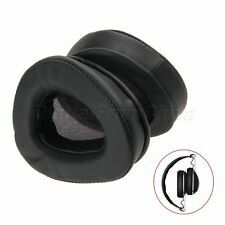 Soft leather, comfortable to wear, slow rebound, fit the ears. Cable length: 1.4m. Made of high quality wire, provide a perfect sound performance. Features: 100% brand new and good quality. 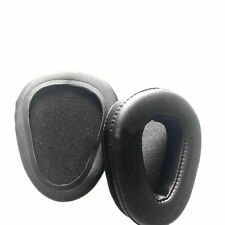 Earpads for Skullcandy AVIATOR 2.0 Headphones. High elasticity, durable and soft. Easy Installation. Custom-Made(No Original). Compatible with: Skullcandy AVIATOR 2.0 Headphones. Material: foam,leatherette. Color: black. Outer size: about 9.0cm x 7.0cm x2.2cm; inner size: about 5.0cm x 3.5cm. Made of high quality wire, provide a perfect sound performance. Cable length: 1.4m.